4/25! 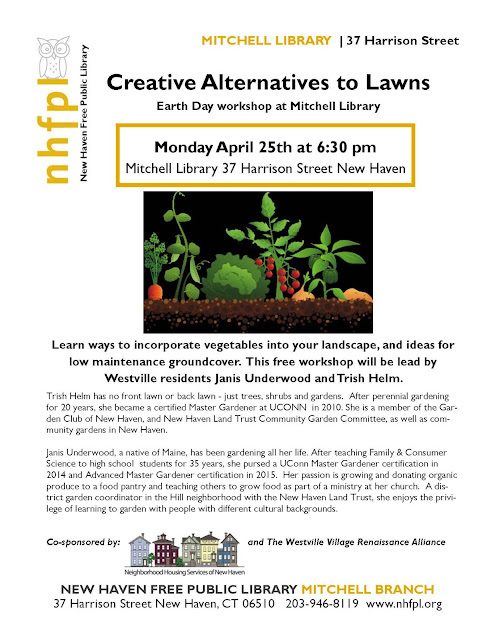 Great Event at the Mitchell Branch Library in New Haven! Happy Earth Day! 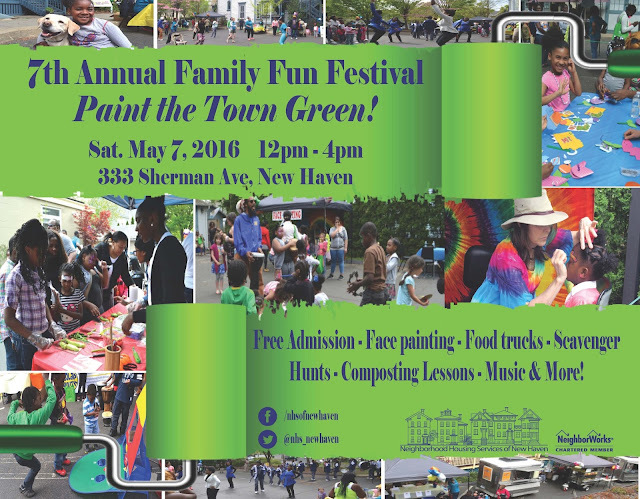 NHS of New Haven takes great pride in being a NeighborWorks Green Organization. We are proud to have members of our staff on a "green team", we love hosting volunteer groups that help us to clean, preserve, and improve our beautiful planet. And we are dedicated to rehabilitating our all of homes and apartments to Energy Star standards. That being said, we thought it'd be great to share with you some tips on being "green" this Earth Day and every day thereafter. 1. Turning down your thermostat by one degree can cut 8% off your fuel bill. 2. An energy efficient washing machine will use a third less electricity for each wash, which could save you more than the cost of the appliance. 3. If every household replaced one roll of regular toilet paper with one recycled post-consumer waste roll, 424,000 trees would be saved. 4. Every three months, Americans throw away enough aluminum to rebuild the nation ’s commercial air fleet. 5. The energy saved from one recycled aluminum can will operate a television for three hours. 6. The energy saved from recycling one glass bottle will light a 100-watt light bulb for four hours. 7. Recycling a glass bottle also causes 20% less air pollution & 50% less water pollution than when a new bottle is made from raw materials. 8. Recycling & reusing the material in “tin” cans reduces energy use by 74%, air pollution by 85%, solid waste by 95% & water pollution by 76%. 9. It takes 75,000 trees to print a Sunday Edition of the New York Times. 10. The amount of wood & paper Americans throw away each year is enough to heat 50 million homes for 20 years. 11. If Americans recycled just one-tenth of their newspapers, we would save 25 million trees a year. 12. Producing one ton of paper from recycled pulp saves 17 trees, 3 cubic yards of landfill space & 7000 gallons of water. It also reduces air pollutants by 60 pounds, saves 390 gallons of oil & conserves 4200 kilowatt hours of energy – enough to heat a home for half a year. This year, our 7th Annual Family Fun Festival is themed "Paint the Town Green". NHS will promote environmentally-minded initiatives and encourage families to do their part to preserve our beautiful Earth. Bringing neighbors an opportunity to come together, build community, and have fun, the festival strives to provide a space for people of all ages to enjoy and celebrate all that New Haven has to offer. Admission is free and includes games, food, and activities. Learn more on our facebook event page here. Gearing Up for the Great Give! When most college students hear "spring break" they think about a much needed reprieve from their coursework, a chance to let loose on a dream vacation, or an opportunity to spend more time with their friends and family. But in March 2016, NHS of New Haven partnered with University of New Haven to offer an alternative for students who wanted to give back to the communities surrounding their school. To these extraordinary students, spring break means making a difference in their community. The group, working with our Community Building & Organizing staff, rose to the task of cleaning up Beaver Pond Park in New Haven, just three miles from the U.N.H. campus. Sarah, a sophomore at U.N.H. remarked, "I chose to volunteer [because] I wanted to get more involved. When I first got [to Beaver Pond Park], it was disgusting. There were bottles everywhere, from one end to the other." One morning, during the clean-up, Jen, another U.N.H. sophomore, said: "I've never really done anything like this...I actually enjoy it. It's nice to feel like you're making a difference." It's activities like these that allow us to bring a variety of partners together to revitalize neighborhoods in New Haven that need of some extra attention and care. 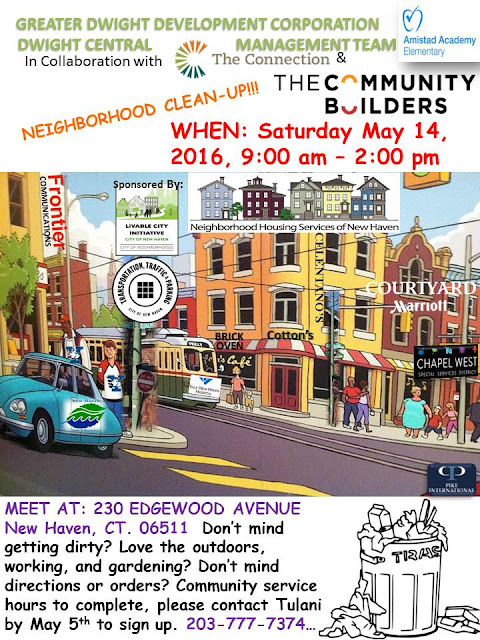 Volunteer events are organized year round and give even the youngest residents in New Haven a chance to give back. This past autumn, several enthusiastic volunteers ranging in age from 4-17 joined us from Solar Youth, Squash Haven, Common Ground High School, and The Sound School. These students worked to clear beds, rake leaves, and plant in the Ivy Street, Stevens Street, and Davenport Avenue gardens in New Haven. Not only do these activities better the appearance of the neighborhood, they also help students grow by providing a safe space to learn about the environment and build a sense of community pride. We are proud to be able to work with these groups and include them as volunteers in our NHS Family. If you want to support NHS' volunteer activities, pledge to make a donation on May 3-4 by clicking the button below. All we need is your name and email address! We'll send you a reminder when it's time to donate during The Great Give. 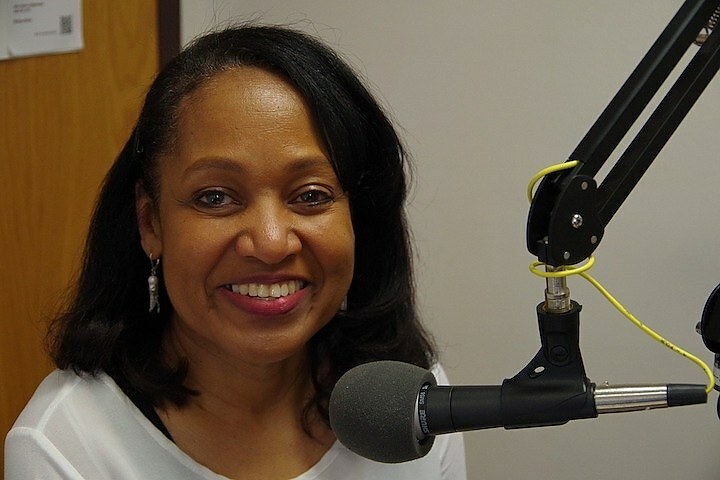 On April 6th, Bridgette Russell, Managing Director of our HomeOwnership Center, spoke on the WNHH radio show, Mornings with Mubarakah. You can listen to the show in its entirety here. On the show, Mubarakah asked Bridgette to share some tips that future homeowners should be taking before they purchase a home. We thought it'd be great to share those steps with you on our blog. One of the greatest changes to NHS' HomeOwnership Center has been the implementation of our online portal, COMPASS. Gone are the days of paper applications and hundreds of phone calls! When you visit the NHS website, you will see a box on the left-hand side titled "Compass". Upon clicking that link, you will be able to create a profile, start an application, upload documents, and register for classes. Question: Are NHS' services offered for free? Answer: You may register for any NHS class at no cost whatsoever. You don't need to be a New Haven resident either. However, should you choose to go through our Homebuyer Development program, you'll be asked to pay a small one-time fee. You can pay the fee online and at that time, schedule a one-on-one appointment with your very own housing specialist. When you meet your housing specialist, they will do a soft-pull of your credit report. The housing coaches will always start there to get the best sense of your 3 credit bureau scores. Your coach will then give you a road map and put you on an action plan that will work specifically for your situation. Oftentimes, many homebuyers immediately go out and start "shopping" for their new home without fully thinking through how much they can afford. Then they're disappointed when they realize that the home may be a bit out of reach. Start first with knowing and understanding your credit score. Take a look at your debt to income ratio. Prequalify with a lender so that you can fully understand how much you can afford. If you follow these steps, you'll be able to find the right home in the right price range for your budget. Even if you're paying your credit cards on time every month, they could still be affecting your credit score. The magic number Bridgette likes to tell NHS clients is 30%. You want to have a balance on your credit card that is only 30% of your total limit. This will prove to your creditors that you are handling your credit wisely. The NHS housing specialists know about all the programs available to future homebuyers. By looking at your particular situation, they can tell you which programs you're eligible for and which programs you can layer on top of one another, making your home purchase more affordable. Visit www.nhsofnewhaven.org and create your COMPASS profile. Begin your homeownership journey with NHS of New Haven today. If you'd like to receive our newsletters directly into your inbox, sign up here. For a quick guide, check out this graphic created by NeighborWorks America. If you have any questions, you can reach out to any NHS staff member and we'll be happy to help! Meet the Newest Addition to our NHS Family! 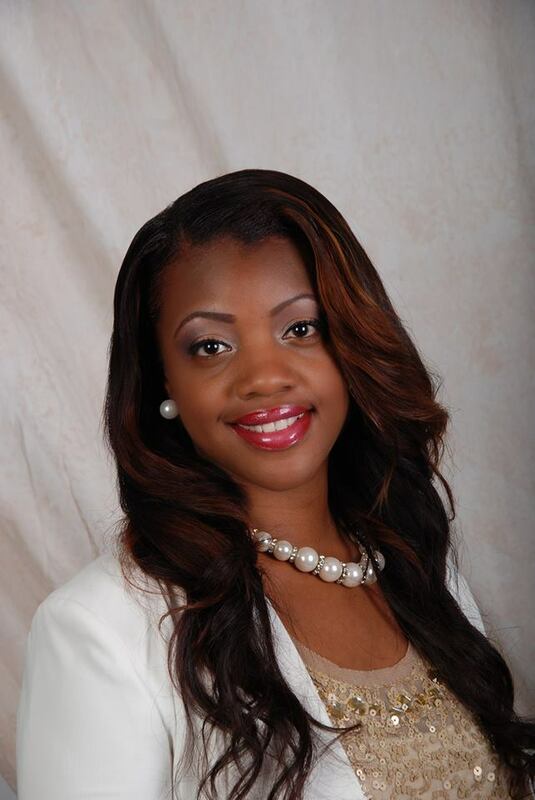 NHS of New Haven is so proud to welcome the newest member of our HOC Realty team, Tashesha Ricketts! Tash has been in the real estate business for over 9 years and has an intimate knowledge of the residential real estate market of Hamden, North Haven, Westville, New Haven, East Haven and West Haven. She is a Dean’s List Recipient and proud graduate of the University of Connecticut with a Bachelor of Arts in Sociology with a concentration in Counseling. Currently, Tash is attending the University of Connecticut School of Social Work to pursue her Masters of Social Degree with a concentration in Administration and a specialty in Black Studies. Passionate about helping people, Tash is the Founder and CEO of Divine Destiny Empowerment where she provides empowering services and events for women. She is passionate and invested in counseling, motivational speaking, workshop presentations, conferences, and mentorship, founded on Biblical principles. Tash is also the Founder and CEO of Daughters of Divine Destiny (D3) Academy, a non-profit organization whose mission is to “educate, inspire, and empower young women for greatness.” D3 Academy provides empowerment focused psycho-social programming to at-risk adolescent females in the New Haven Public School System. Tash strongly believes in investing in her community. Currently, she is volunteering as board of director and treasurer for the Elm City Freddy Fixer Parade, Inc. in an effort to rescue the parade from being dismantled. She is the Program Advisor to the University of Connecticut- Educational Talent Search Program where she provides services and support to disadvantaged students in New Haven to achieve access to post-secondary education. Previous to that Tash was a Milieu Supervisor to the Boys & Girls Village, Inc. Extended Day Treatment Program where she was an advocate, coordinating services and managing a case load of 30 clients with behavioral, emotional, and/or psychological disabilities. Tash has gained the respect of her clients through her hard work, dedication, and attention to details. She has collaborated with Neighborhood Services of New Haven and local banks to implement a free Homeownership Empowering Seminar to assist first time home buyers. 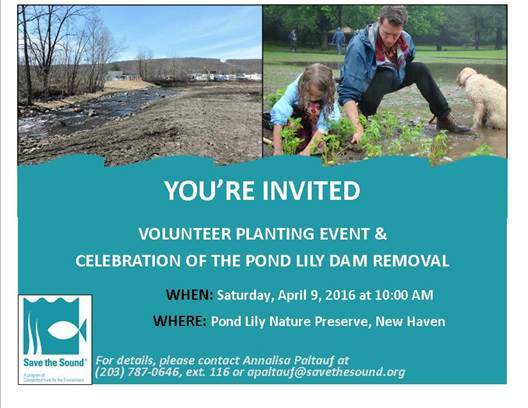 On Saturday, April 9th, there will be a volunteer planting event and celebration of the Pond Lily Dam removal! Please contact Annalisa Paltauf (Apaltauf@savethesound.org) with any questions and to RSVP.